Home to the prestigious Cambridge University which was established in 1209, Cambridge is a city of old beauty, baroque architecture, and a profound history. Get inspired by the many museums and galleries, admire the majestic buildings, and become mesmerized by the cobblestone streets. One of the top attractions in Cambridge, besides Cambridge University, is the Fitzwilliam Museum, an art and antiques museum located in central Cambridge that receives nearly half a million visitors each year. The museum exhibits several collections including music manuscripts, Egyptian artefacts, paintings, and Michelangelo pieces. Another architectural wonder to see is the Church of St Mary the Great. Located at the north end of Kind’s Parade in central Cambridge, this church is one of the most iconic buildings in the city. Visitors can easily spend an hour or two inside its walls while contemplating the creativity and intelligence that went into building this church. Get around Cambridge on foot for the best experience and to immerse yourself in the culture. Experience the real city, indulge in the food, and mingle with Cambridge’s locals. Footprint offers a free walking tour of Cambridge and its top sights and attractions. This tour provides an introduction to the incredible city, for tourists, students, and locals. The duration of the tour is 2 hours and given in English only. This is the perfect tour for the Cambridge beginner! Create your own adventure by downloading a free walking tour and designing your own Cambridge experience. There are a variety of stops available, and you can modify the tour to your interests and needs. The length of the trip depends on how many spots you would like to visit. You can also stop in the middle for a long lunch or a quick drink in one of Cambridge's pubs. This is an ideal walking tour for those who want to keep their own pace. The freedom of this option allows you to speed things up or slow things down depending on your needs. Best of all, the Cambridge Tour download is free! 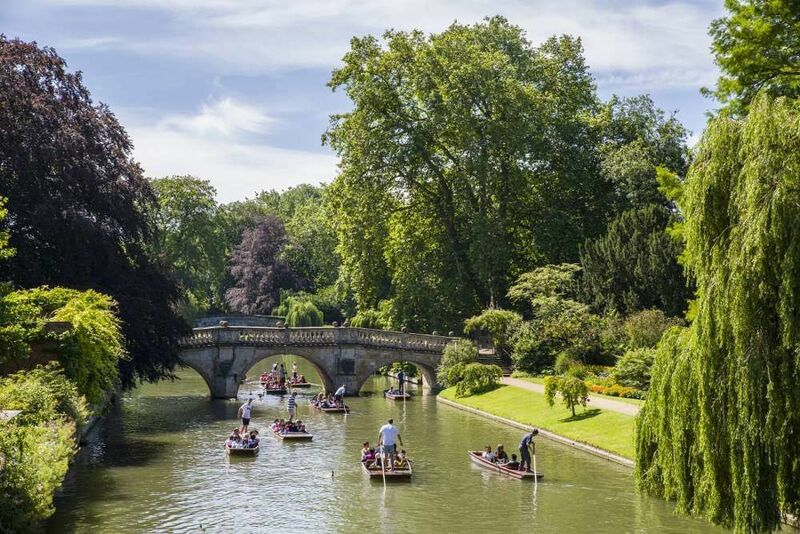 Below you can find more popular (but not free) activities and tours in Cambridge. Are you from Cambridge and want to be a tour guide? Please get in touch by submitting your details on this page!